The Taj Mahal Palace Hotel in Mumbai, India. 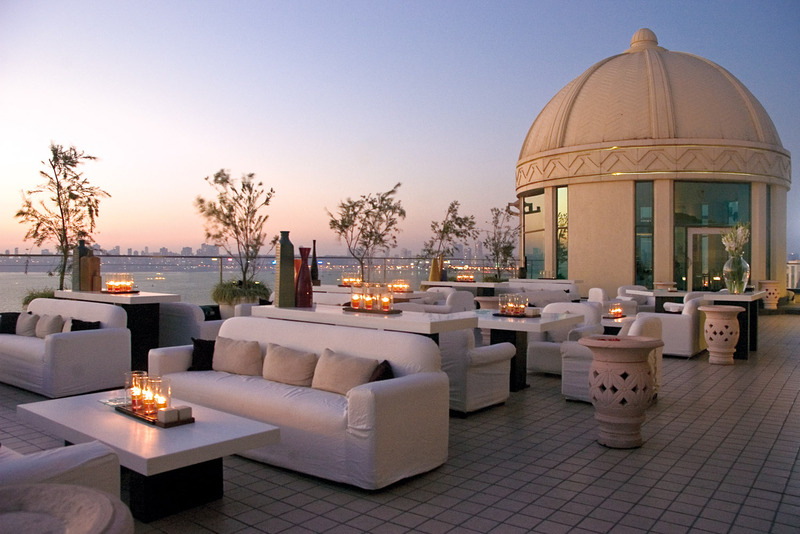 InterContinental Hotel's Dome rooftop bar in Mumbai, overlooking the Arabian Sea. Dadar Flower Market is one of Mumbai's most photogenic places, best visited in the morning. Mahalaxmi Station in Mumbai, where you'll find people called 'dhobis' who work full-time in a giant open-air laundromat. Vibrant fabrics, fake antiquities to Bollywood posters can all be found at Mumbai's Chor Bazaar at Mutton Street. Mahesh Lunch Home in Fort, Mumbai. From garish to gritty, historic to heart-wrenching, here’s what to do during 48 hours in Mumbai. Words by Elspeth Velten. Squeezing Mumbai’s sights and scenes into just two days is a tall order. Upon first glance the city seems stubborn to slow you down – cabs crawl through traffic-clogged streets, straphangers lean out the doors of brimming local trains, and sidewalks, when present, are hectic to say the least. But with careful planning, it’s possible to get a full feel for the striking disparities that make Mumbai the ‘city of dreams’ for so many hopeful migrants from every corner of India. Best visited early in the morning, the Dadar Flower Market is one of Mumbai’s most photogenic – and best smelling – places. 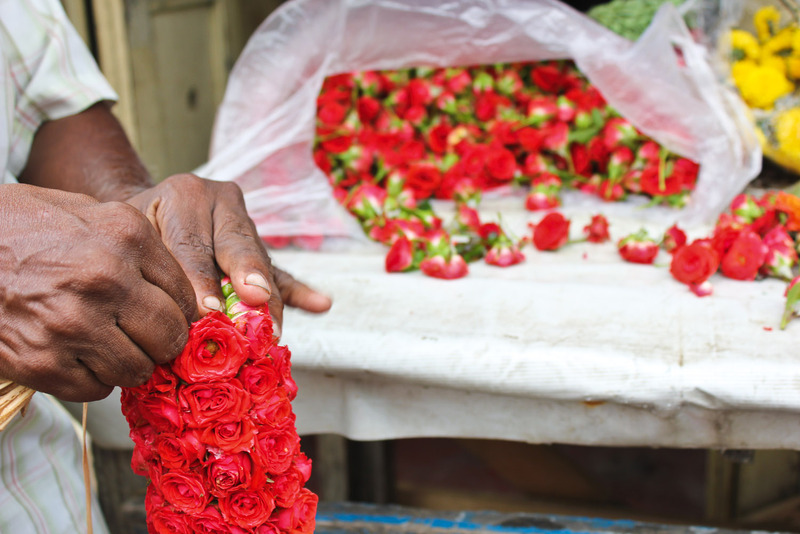 The colourful streets around Dadar station brim with roses, marigolds, jasmine and more all day long, but the action peaks between 5am and 9am. Head north from Dadar to Dharavi. One of the largest slums in Asia, the area is home to over a million people in the space of just over two square-kilometres. Slum tours can seem a polarising proposition, but a guided walk around Dharavi’s industrial and residential areas gives a true insight into how the majority of Mumbaikars live. Walks led by young men from Reality Tours (realitytoursandtravel.com) meet at nearby Mahim Station before heading into the slum and the company invests 80 per cent of profits back into the Dharavi community. Head down into town and splurge on a Mangalorean seafood lunch at Mahesh Lunch Home in Fort. The small restaurant’s menu is full of the familiar and the less familiar – choose from tandoori and various curry preparations of prawns, crab, lobster, squid and fish including surmai, pomfret and bangda. Adventurous? Try the infamous fried ‘Bombay Duck’. It’s not duck at all but lizardfish, native to local waters. 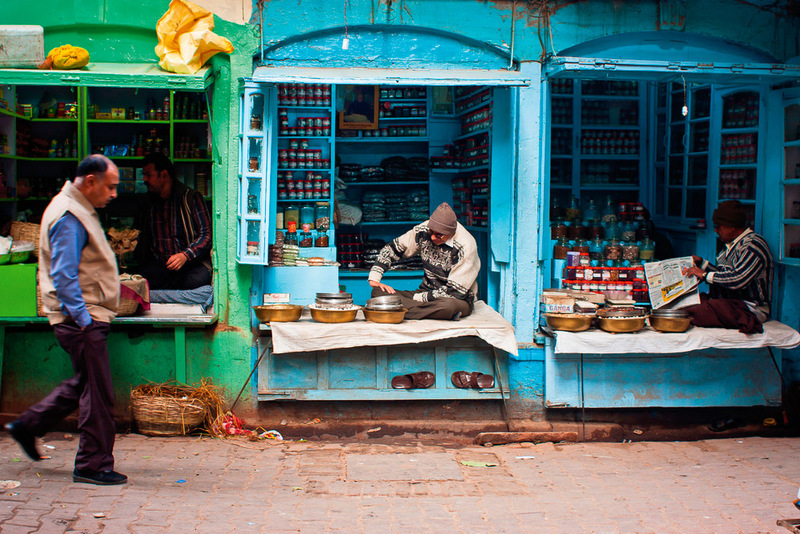 Switch into shopping mode and take a walk through the Chor Bazaar at Mutton Street. Known as the ‘thieves bazaar’, lore has it that stolen items from all over Mumbai end up on sale here. 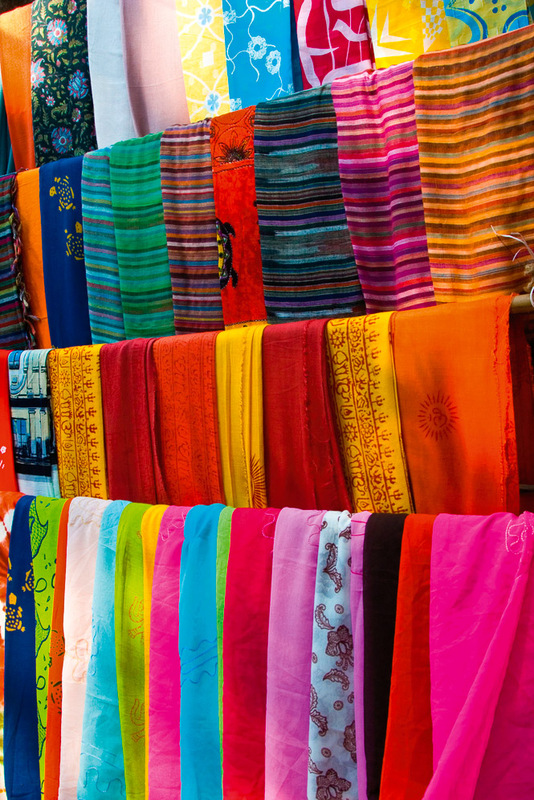 In reality, the bustling streets are more reminiscent of London’s Portobello Road Market – everything from (fake) antiquities to Bollywood posters and random remote controls are available, but don’t dare make a purchase without haggling unapologetically first. Grab a ride over to Dhobi Ghat at Mahalaxmi Station. Here, people called ‘dhobis’ work full-time in a giant open-air laundromat to wash the clothes and linens from homes and businesses all over Mumbai. 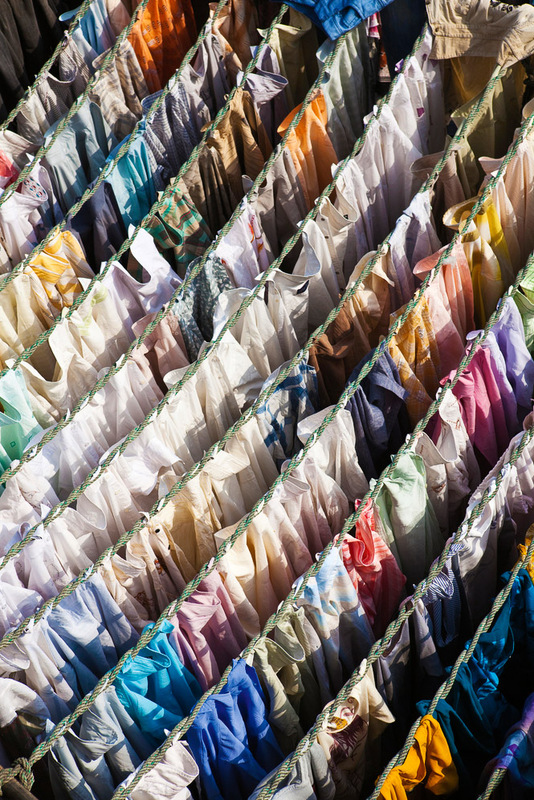 A bird’s-eye view of the area can be had from the top of a staircase on an overpass, where row upon row of laundry flying in the wind make for a colourful photo-op. If you decide to venture down into the laundry labyrinth, beware of scammers requesting payment and remain sensitive and smart when taking photos. This is not only the Dhobi workplace, it’s also their home. After a day of drooling over tempting street food that seems like forbidden fruit, head to Swati Snacks at Karai Estate for a meal of street-style snacks in a trusted environment. This buzzing eatery is popular with local families and it’s a great place to try street foods that, elsewhere, are usually unsafe for foreign stomachs. Try pani puri, a crispy, hollow dough ball served with fillings and chutneys; or panki chatni, paper-thin rice pancakes steamed in banana leaves. Order several small dishes at your own pace and wash it all down with a sweet sugarcane juice. See the day out with a drink (or two) at the InterContinental Hotel’s Dome rooftop bar. The bar boasts panoramic views over the Arabian Sea and the arching Marine Drive, a popular waterfront hangout for Mumbaikars come nightfall. Start the day with a meal at Leopold Café, the Colaba Causeway stalwart that’s an historic and popular hang-out for Indian and foreign tourists alike. Aside from its age (144 years old) and atmosphere, the café is famous for extensive mention in Gregory David Roberts’ novel Shantaram (a favourite of travellers across India), and infamous as one of the locations of the November 2008 Mumbai terror attacks. It’s time to knock historic – and touristy – Colaba off the to-do list. 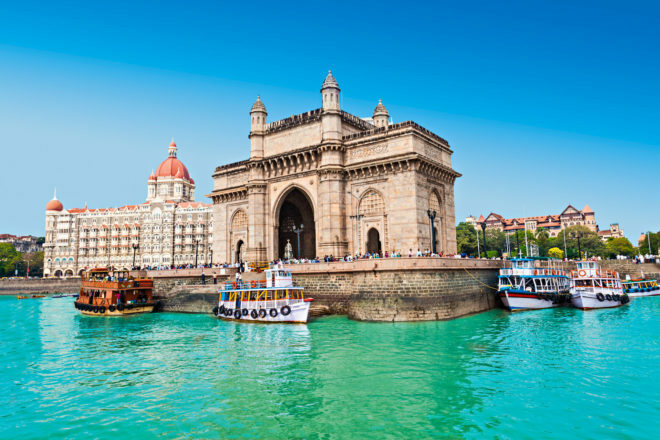 Stroll past the souvenir shops on Colaba Causeway and then head around the corner to the Gateway of India, a seaside monument built in the early 1900s to welcome British colonial leaders arriving by sea. Cross the street to admire the majestic and historic Taj Mahal Palace hotel. This impressive accommodation opened in 1903 and has since been a base for the city’s most elite visitors. Even if you can’t foot the bill for a stay, visitors can browse the luxury shops on the ground floor or visit for a meal or a drink. Finish in the area by heading back up to the Oval Maidan playing field where you can watch a cricket game and gaze at the impressive Bombay High Court building. Before lunch, spend an hour or two browsing thousands of exhibits of antiquities and art from India, China, Nepal and Tibet at the Prince of Wales Museum. The gallery is housed in an impressive building known for its Indo-Saracenic architectural style marked by Islamic, western and Hindu influences. This style was popular with British architects in the early 1900s and is seen in various other buildings around Mumbai from the colonial period. A walk north to the beautiful, tree-lined Ballard Estate business area brings you to Britannia & Co. restaurant – a Mumbai favourite that’s been serving Parsi and Iranian food since 1923, and a sign of Mumbai’s flourishing Zoroastrian migrant community. You’ll likely be greeted by the charming 92-year-old Boman Kohinoor who inherited the restaurant from his father, Britannia & Co.’s founder. He may even slowly scrawl down your order of mutton berry pulao – the restaurant’s famous rice dish – and rose raspberry soda himself. Afterwards, walk off the meal with a stroll past the nearby Mumbai General Post Office and the Victoria (Chhatrapati Shivaji) Terminus – two more striking examples of colonial architecture built between the 1870s and 1920s. North of the train station, the crumbling Crawford Market is one of Mumbai’s most famous – it’s British-designed and features friezes and fountains by John Lockwood Kipling, Rudyard Kipling’s father. The market is still active today and eager vendors sling everything from fresh produce to poultry and exotic pets. Have an early dinner at local favourite, Persian Darbar. This unassuming joint in Byculla is known for its mutton kepsa – a succulent preparation of spice-rubbed meat cutlet served with enough biryani rice to feed four. To wash down the fall-off-the-bone meat, it does a particularly nice fresh lime soda. Tick off the rest of the city’s sites during a Mumbai by night tour, offered by many tour companies in the city, including the reliable Reality Tours. Stops include Chowpatty Beach, where families gather to eat and socialise around sunset, a view of Marine Drive from Malabar Hill, a drive past the Antilia building – a monstrous 27-storey home to one of the country’s wealthiest families – and a busy red light district that’s sure to leave you with conflicting feelings about a city that’s characterised by glaring highs and lows.